Summer is great time to enjoy everything the city of Madison has to offer, but most of the time experiencing Madison requires one thing: money. For college students who don’t have money to spend on entertainment, the monetary cost of having fun can put a damper on the summer. But what most students don’t realize is there is a whole slew of Madison summer activities that are 100 percent free, or very inexpensive. Here’s a list of summer adventures you can do on a college budget. This summer Madison Parks is offering free movies on Saturdays at various Madison park locations, most of them at Peace Park right off of State Street. Sit back, relax and watch “Spaceballs,” “Rogue One: A Star Wars Story,” “Moana” and more, without spending a dime. As a part of the Terrace After Dark music and film series there will be either a movie or music almost every night this summer at the Terrace. 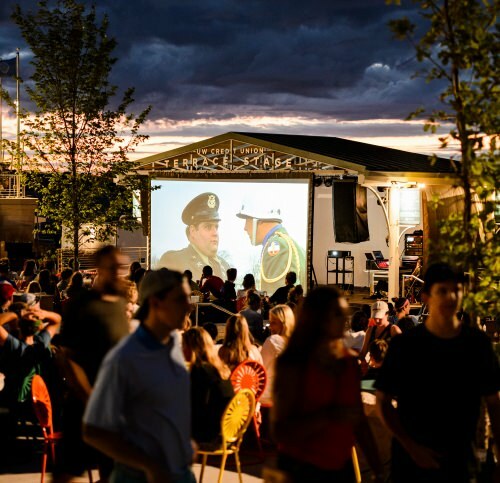 As a part of the Terrace After Dark music and film series, the Wisconsin Union Directorate is having free movies at the Terrace starting at 9 p.m., on many Sundays and Mondays. From “Jaws” to “The Little Mermaid,” “The Avengers” to “The Lego Movie,” there’s something for every type of movie lover. Unfortunately, this summer movie option is not free, but it’s still pretty cheap. For only $7 you can watch a series of alternative films, all set in a dystopian future, on the roof of the Madison Museum of Contemporary Art on State Street. Screenings start and sundown and are shown every Friday in the month of June. Enjoy great bands and great views on the rooftop of Monona Terrace. On select Thursday nights through July, Monona Terrace will be hosting live music, including a “Chicago” tribute band, a local pop rock band and a boy band tribute band. Tickets are free, but need to be ordered online in advance. For those with more classical tastes, the Wisconsin Chamber Orchestra will be hosting free concerts at the King Street corner of Capitol Square Wednesdays starting June 28. From orchestral arrangements of Michael Jackson to a harmonica player who has played at Carnegie Hall, this series will show listeners the best of classical music. Concerts start at 7 p.m., but people start placing blankets on the Capitol lawn at 3 p.m. so get there early! While most of the free concerts at Olin Pavilion have already happened this summer this is still one left that you can make it to! Cris Plata, an artist who focuses on original country folk and Mexican roots music, will be playing at 6 p.m. June 15. Only a 15 minute bike ride from campus, this would be a great way for students to experience some new music. There will be seven nights of free concerts as a part of this year’s Central Park Sessions in Madison. Featuring various local bands and touring bands, the concerts will run in August from 5:30-10 p.m. on Wednesdays and 5-10 p.m. on Thursdays, with one session at the beginning on September. All will be located at Madison’s Central Park at 202 S. Ingersoll Street, about a 15-20 minute bus or bike ride from campus. Every Thursday from 6-8 p.m. this summer, enjoy a free concert at High Noon Saloon’s patio as a part of their Summer Patio Series. There are different genres of music every week, including folk, acoustic, bluegrass, swing, country, funk, rock and more. The saloon is about a 10-minute bike ride off campus on East Washington Avenue. Be sure to also check out the free music events that are happening at the Terrace all summer long! 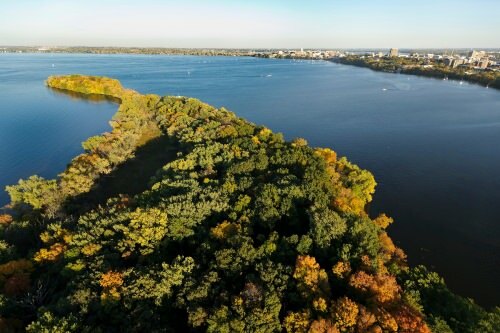 Bike, walk, canoe or kayak through some of Madison’s most scenic parks and conservancies on one of Madison Parks’ free outings. Trained naturalists and volunteers lead attendees through nature paths and other hidden areas and share insights about the environment. The tours are informal, with no registration required. Just show up and explore! 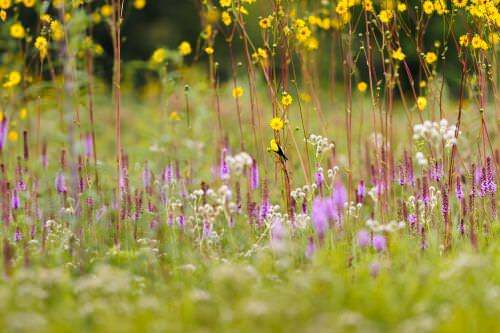 Walk through some of the Arboretum’s gardens, fields, pastures or forests under the stars. Among the various events held by UW–Madison’s Arboretum this summer are two night walks, one on the night of the Strawberry Moon, the other on the Summer Solstice. If hiking at night sounds a bit too creepy for you, visit the Arboretum during the day starting at 7 a.m., or attend any of their other various events held throughout the summer. Quicks facts: FREE, open daily 7 a.m. – 10 p.m.
Summer is a great time to take a trek to Madison’s Olbrich Botanical Gardens. While it’s about a 25 minute bike or bus ride from campus, the 16 acres of award-winning outdoor garden displays are worth the trip. Admission to the outdoor garden is always free, and for $2 visitors can go into the Bolz Conservatory. Also be sure to attend their summer concert series on most Tuesdays through Aug. 8. Even college students aren’t too old for the zoo. Just a mile south of Union South is Madison’s completely free zoo. Walk through and see some of your favorite animals from lions and tigers to tropical birds and penguins. If you’re sick of swimming at the Terrace take a dip in another one of Madison’s various beaches on Lake Mendota or Lake Monona. Madison Parks provides lifeguards at select beaches throughout the summer. The official 2017 season starts June 9 and 10, with beached staffed every day of the week, weather permitting. Not a fan of swimming in lakes? Goodman Pool is offering free recreational swimming from 6-8 p.m. June 23 and July 14, along with food truck options for dinner. If you can’t make either of those dates the pool is just $5 on a normal day. It’s just a 10-15 minute bus or bike ride from campus. Watching the Mad-City Ski Team is a great way to get involved in lake life without actually getting in the water yourself. The team has free home ski shows almost every Sunday from Memorial Day to Labor day, starting at 5:30 p.m. The shows are located at Law Park, which is just past the Capitol on Lake Monona. There are still a couple days of free yoga left at the Olin Pavilion. Practice your breathing and asanas in a historic building with a great view of Madison. You can bring your own yoga mat or use one of the ones provided. 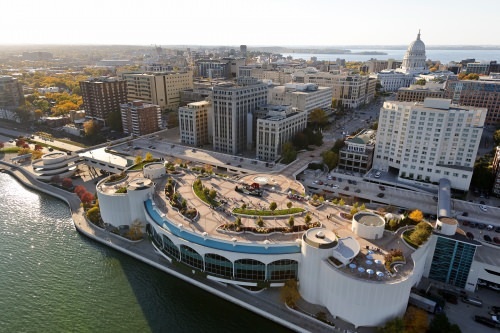 Every Friday night in August, the Monona Terrace rooftop will feature free live music for kids and adults to dance to. The night starts with a DJ performance at 5:30 p.m. then ends with two live bands at 6:00 p.m. and 8:00 p.m. Feel free to let loose with a night a music and dancing for the community. A classic UW summer activity is taking a trip to Picnic Point. With beautiful trees, other wildlife and an amazing view of campus, exploring Picnic Point is a must for every Badger. If you want to experience the iconic peninsula in a new and exciting way, reserve one of Picnic Point’s fire circles and have a bonfire with your friends!